Middle class comfort trekking bike. 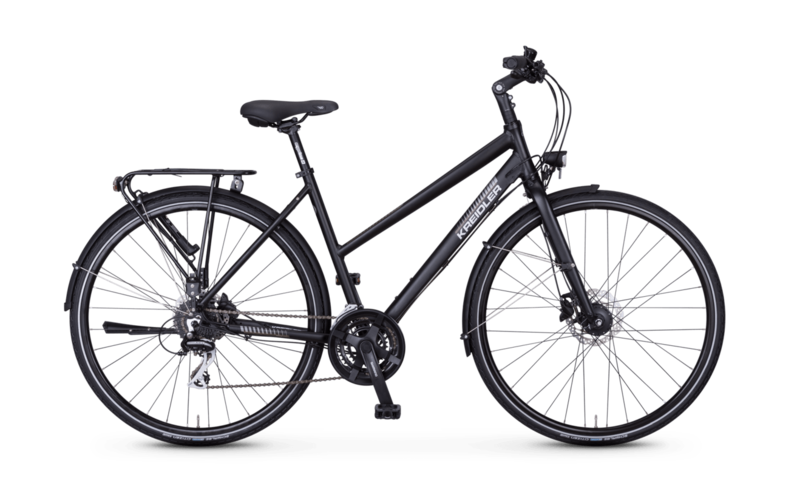 With the trekking bike Raise RT5, you can easily travel in urban surroundings or off the beaten track. 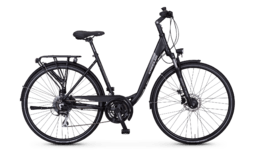 The bike is available with a lightweight aluminium frame in three different shapes and convinces with its high stiffness. 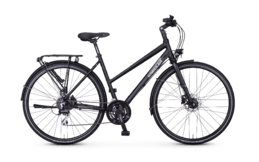 With the 24-speed Acera derailleur system from Shimano, a Suntour suspension fork and hydraulic disc brakes - also from Shimano - the trekking bike is well equipped for almost any use. You sit particularly comfortably on the Selle Royal saddle and the ergonomic handles from Herrmans also impress with their comfort. 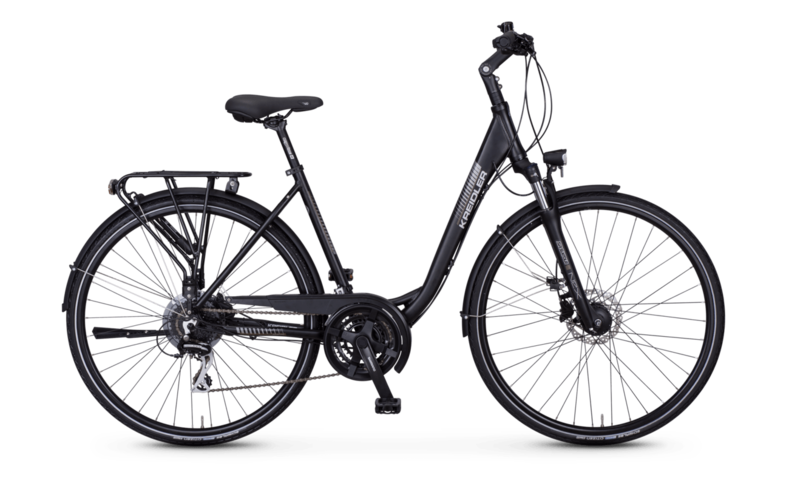 The equipment package of the Raise RT5 is rounded off by proven Schwalbe tyres, an LED lighting system with parking light and a Racktime luggage rack.